The astute among you may have noticed that our chalet availability calendars are looking rather full! Due in no small part to the amazing snowfall and perfect conditions we’ve been enjoying recently, this year we’ve been as popular as ever with both new and returning guests who tell us how they love our fully-catered chalets in Meribel and the unparalleled level of service that Ski Basics offers. The good news is that we have just released the availability calendar for next year so you can be among the first to book one of our beautiful fully-catered chalets for 2017 and get your pick of the dates before anyone else. But why book so early you might ask, what’s the big rush!? Well, those that book early obviously benefit from being able to choose the chalet they want in the location they prefer but in addition, it gives them ample time to be able to organise large groups of friends so that everyone can be prepared, organised and have lots of opportunity to plan and look forward to their fully-catered ski holiday in the Trois Vallees. Booking early for next year also allows you to secure the cheapest flights and train fares; our travel page makes it easy to choose the best way to get to Meribel for you. Large group ski holidays are so fun and oh-so-very rewarding. Whether your group comprises old school friends who you’ve known for years, or several generations of the same family who have joined together for a milestone celebration… all coming together to relax, unwind, eat, drink and of course ski (!) 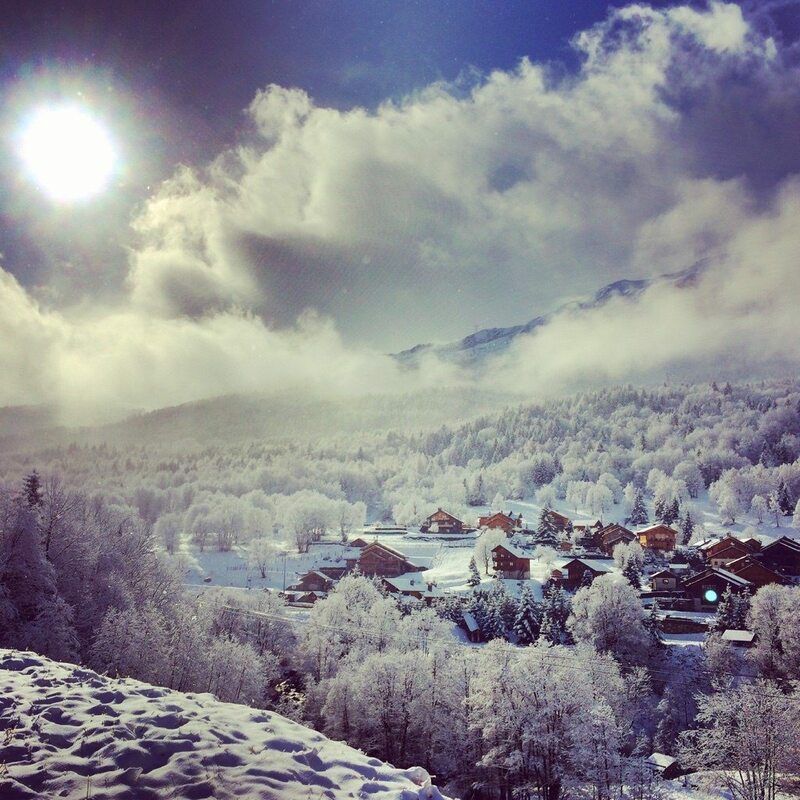 is something incredibly special and guaranteed to create memories which will linger long after your fully-catered ski holiday in Meribel draws to a close. We have two *new* fully-catered chalets for 2017; Chalet Chamois sleeps eight people and boasts a south-facing terrace where you can sit out and absorb the mountainous view of the valley. Sleeping six guests the enchanting Chalet Lapin is perched on the south-facing side of Meribel valley and perfect for those looking for a hassle-free ski holiday within walking distance to Meribel’s central attractions. Each of these new chalets for 2016/17 can be booked in conjunction with one another to give large parties added flexibility and choice. Add to that neighbouring Chalet Brenettes which sleeps eight people, and you can spread your large group of 22 across three beautiful catered chalets to grant all members of the group privacy and the chance to relax away from the main hubbub when required. Perfection!